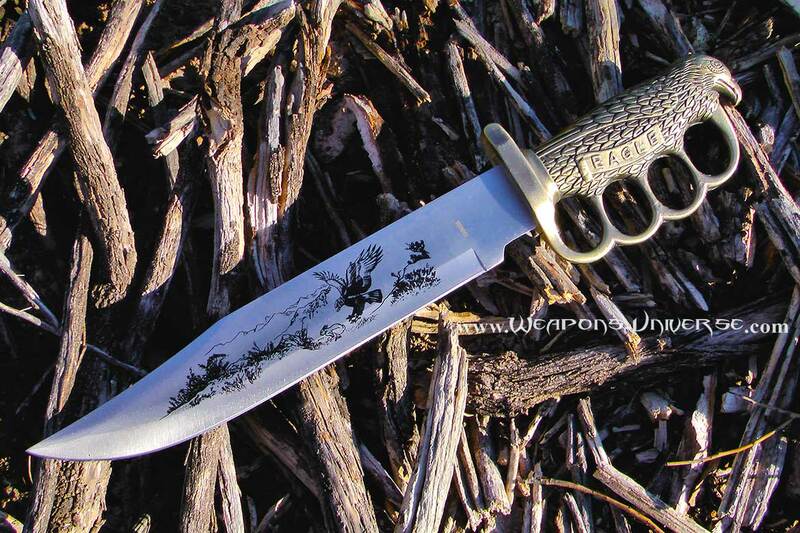 Eagle Bowie Knuckle Trench Knife, 15" overall, 10" stainless bowie blade with etch of eagle attacking prey. 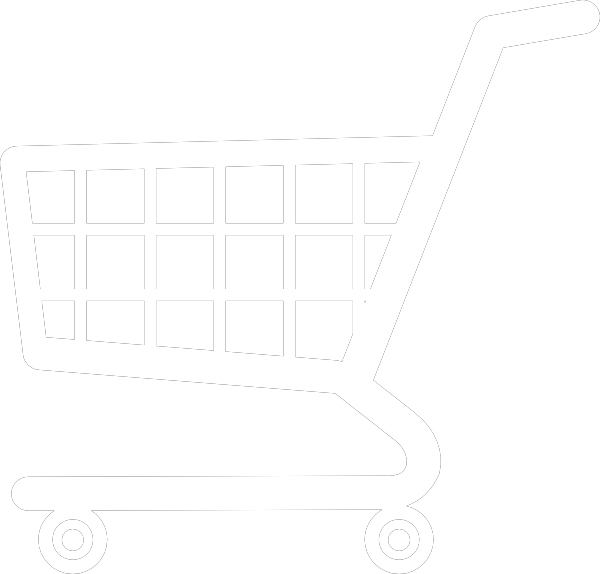 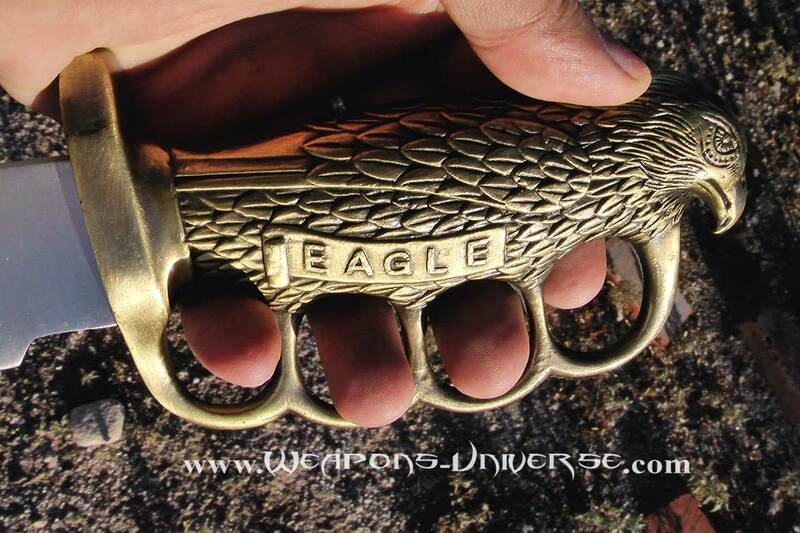 Antique silver finish sculpted cast metal handle in shape of eagle with knuckle guard. 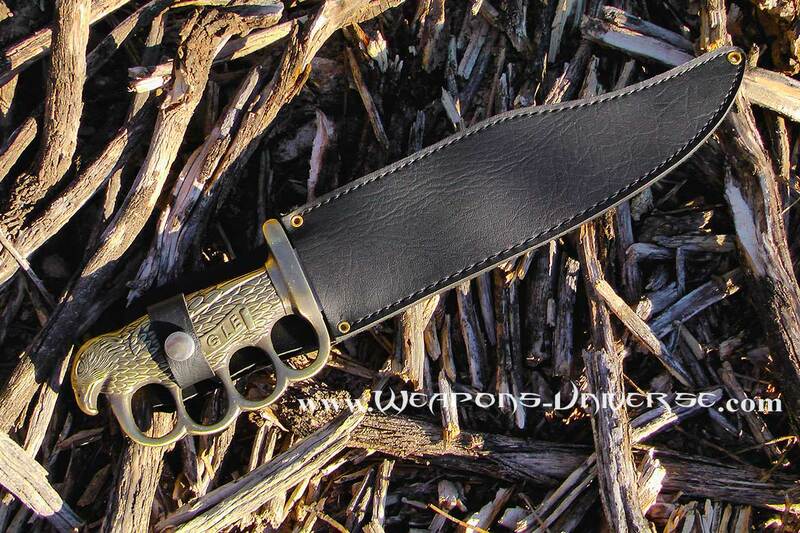 Black leather belt sheath.